A review of the Western-Southern Health Assurance Insurance Company finds instead the Western & Southern Life Assurance Company. 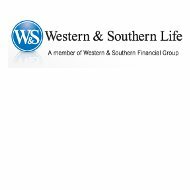 Western & Southern Life Assurance is a subsidiary of the Western & Southern Life Insurance Company, which is, in turn, a member of the Western & Southern Financial Group. For purposes of this review, we will focus on the Western & Southern Life Insurance Company and its products. Looking for health insurance quotes from top insurance companies? Just type your zip code into the free toolbox above! The company has an automated, 24-hour customer service hotline that is reachable at 1-800-926-1993. You can speak to a live customer service agent during daytime hours at 1-866-832-7719. To find a local office or agent in your state, you can search on the “Contact Us” page of the company’s website. As mentioned, Western & Southern offers life insurance policies, including whole, term, and universal coverage. The company offers four different varieties of whole life insurance, which provides coverage at a fixed premiums and builds a cash reserve against which the policyholder may borrow funds. Some of the company’s whole life policies also pay dividends, making them a potential retirement vehicle, as well as necessary protection for the time before retirement. The company also has two different kinds of universal life insurance for sale, which let you adjust your premiums and your death benefit. This helps you adjust your coverage to your changing needs over the years. Western & Southern Life Insurance Company also sells a family accident insurance plan, which offers several different coverage options for children and adults. The plan refunds premium payments if it never pays out, once the policyholder reaches the age of 65 and meets other specified conditions. If you’re interested in a job with Western & Southern, you can search online for jobs with both the Life Insurance Company and the Financial Group. Western & Southern Life Insurance Company is hiring both sales and corporate positions, with nine corporate opportunities currently available in its Cincinnati headquarters. Positions range from agency recruiter to field compensation analyst, and senior internal auditor to customer service analyst. The Financial Group, as a larger entity, has more job openings. Although most of them are in Cincinnati as well, there are a few scattered around the U.S. Moreover, they’re not necessarily financial jobs. In fact, one of the Financial Group’s subsidiaries – Eagle Realty Group – even has an opening for a painter! In 2010, the company was rated one of the Top Ten Best Places to Work, according to WorkPlaceDynamics LLC, which gathers ratings from company employees. In addition, the company is accredited with the Better Business Bureau and has been since November 2009. Since then, Western & Southern Life Insurance Company has received a grade of “A+” from the BBB, based on its size, its years in business, the number of complaints filed against the company with the BBB, and the number of files closed with a resolution. Health insurance coverage is one of the most important ways to protect yourself and your family. Don’t delay! Peruse health insurance quotes from top providers after you enter your ZIP in the box below!